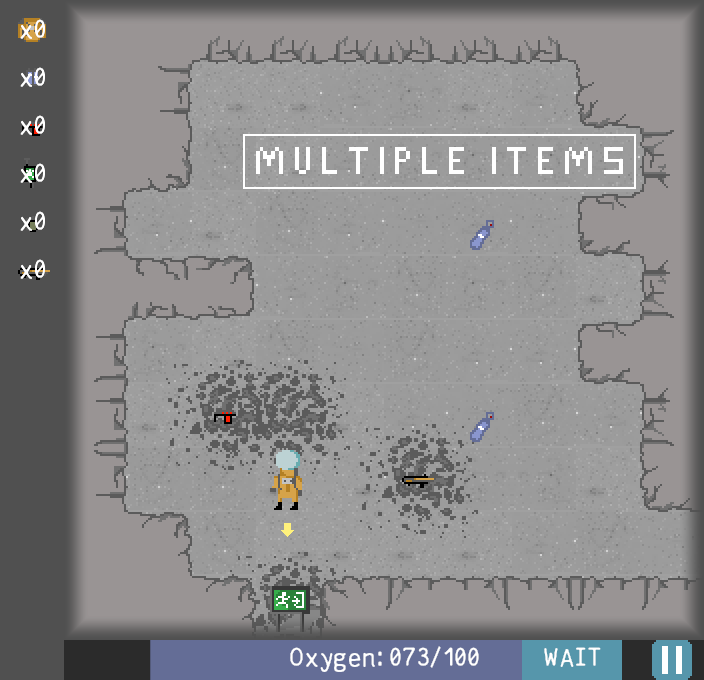 MoonRogue is a space themed, turn based puzzle game with some roguelike-ish elements, such as procedural level generation, items and permadeath. Control your character with the arrow keys. Escape key exits to the menu. Every move costs you oxygen, don't waste it! 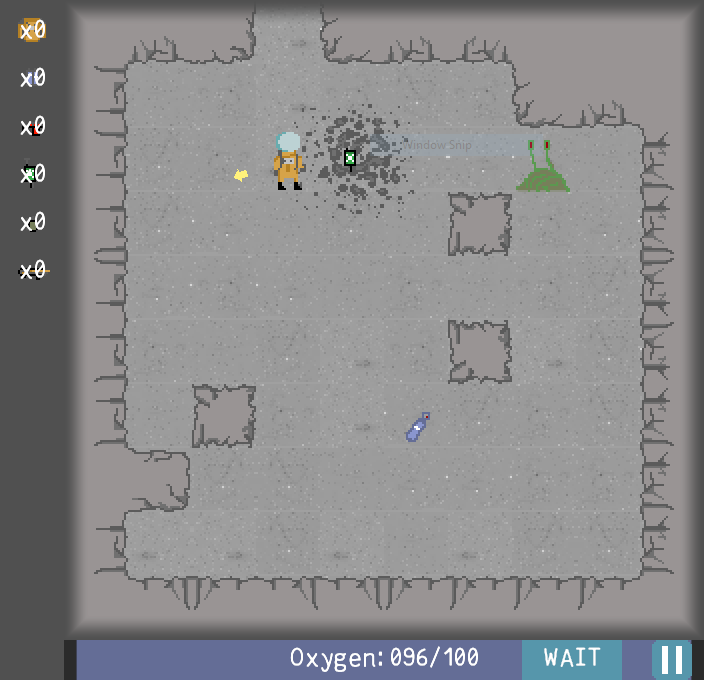 You can break rocks and attack the enemies with your plasma torch! Rocks often hide useful loot! Collect O2 containers to restore your oxygen levels. This is a turn-based game, you can move every turn, while the enemies move every second one. They chase you! If an enemy plays it's turn next to your character, it attacks you, and you lose oxygen. Try to avoid that! Created with Duality2D. All artwork original. 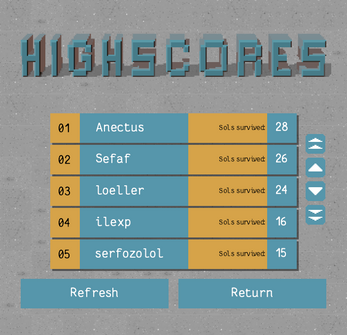 Added a menu system, which functions as a main and also as a pause menu. In the menu, music and sound effects can be turned ON/OFF. In the menu, the resolution can be changed, and fullscreen mode can be set. Before the update, every enemy moved in the same phase (in every odd turn), and they all had horizontal affinity (they tried to get into the player's column first). Now phase and affinity is assigned randomly. There's a new type of enemy. The player can now kill the enemies with the rock-cutter plasma torch. Stronger monsters now attack weaker ones. Added 1 static level element: Oxygen station. Added 3 passive items: Armor, Torch, Oxygen tank. 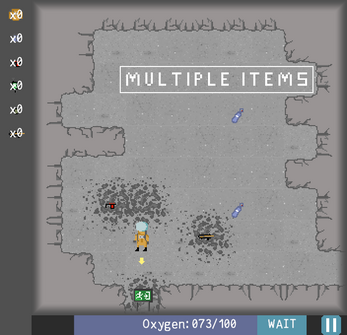 Added 2 usable items: Grenade, Laser rifle. 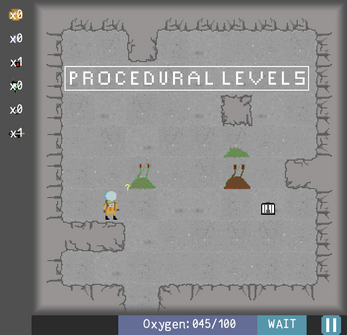 Now level exit is hidden under border rocks. 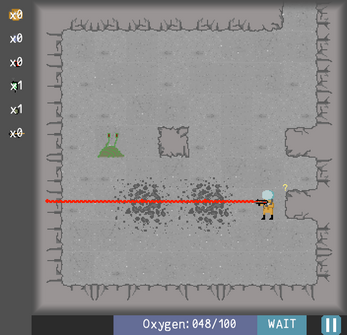 Completely new level generation algorithm. Many graphics improvements including the morphing rock visuals. Improved soundtrack + new music track from Sol 5. Hello! This game is Really good. although its lacking in visual game feel and graphics it makes up for in audio game feel, Great sound design, and Gameplay. But the part that I loved was the music. I couldn't find any form of contact with you aside from this comment and I was wondering if you would be willing to make music for a project I'm working on. if you are interested please contact me at rextgun@gmail.com and GL on your game development, music development, etc.